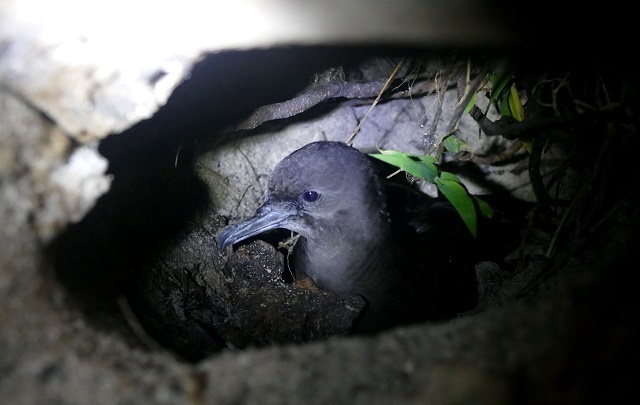 (Seychelles News Agency) - A seabird colony thought to be no longer breeding in St. Francois atoll for the past five years has been rediscovered on the remote Seychellois island, a conservation officer said. The colony of the wedge-tailed shearwaters (fouke dezil in Creole) was discovered in October 2017 during a population census of red-footed booby (fou bet in Creole) on St. Francois where the species roost at night. St. Francois, which lies 403 kilometres southwest of Seychelles' capital Victoria, is one of the two atolls in the Alphonse group. Pep Nogués, a conservation officer of the Island Conservation Society (ICS) -- a not-for-profit organisation -- said the birds were discovered after hearing eerie calls coming from inside the coconut forest. “Intrigued, with just a couple of headlights and the omnipresent moonlight to guide us, we ventured into the forest. Five birds were sitting on the ground,” said Nogués. The conservation officer said this is a small yet important discovery for the species. The wedge-tailed shearwater is the largest tropical shearwater and got its name because of the shape of its tail. The species is widely distributed throughout the tropical Pacific and Indian Oceans, where they breed on tropical or subtropical islands. As ground-nesting birds, they are particularly vulnerable and threaten by predators especially rats and cats. Accounts of wedge-tailed shearwaters breeding at St. François date from 1951 to 1959. Desiré Gendron, who managed Alphonse Island at that time, reported that the island was home to 'fouke dezil'. There were no further reports until more than half a century later when a fluttering chick was found by Ralph Meyer-Rust, the manager of the Alphonse Hotel from 2008 to 2013. Meyer-Rust’s further investigations in 2013 confirmed the most southerly population of this species known to be breeding in Seychelles. Since then all field searches by the Society to locate breeding burrows and estimate population size had failed. A second smaller breeding colony of Wedge-tailed shearwater can also be found on Alphonse Island – the biggest and only inhabited island in the group. The species is threatened with extinction by introduced rats and cats and the nests are protected by a grid of rodenticide bait stations, combined with trapping for rats and cats. The colony is closely monitored by ICS staff, who have been resident on the island since the establishment of its conservation centre in February 2007. There is also a colony on Bijoutier the other atoll of the Alphonse Group. Nogués said the St. Francois colony is still small and the major threat to this ground-nesting birds seems to be the large crabs that inhabit the island – predation. The three colonies are slowly recovering and numbers are slowly increasing thanks to the conservation efforts set in place by Island Conservation Society said Nogués. 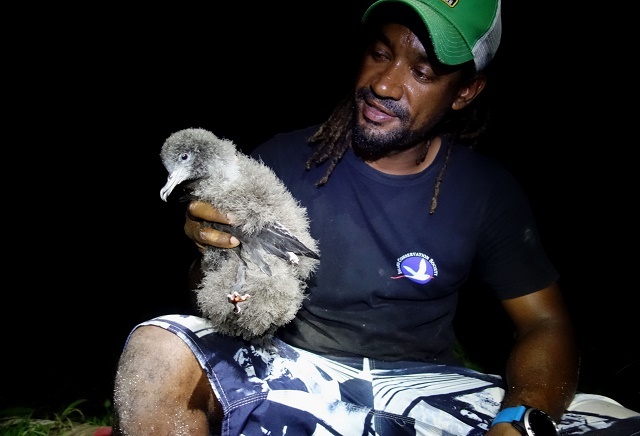 Nogués said that further surveys are now planned, which will help the Society to learn more about the breeding success and population trends for Wedge-tailed Shearwaters in Seychelles, an archipelago in the western Indian Ocean. Protected areas such as these in Alphonse are essential for biodiversity conservation, and biodiversity is vital to support the two most important economies in Seychelles - Tourism and Fisheries. Seabirds in Seychelles are on the red list of the International Union for Conservation of Nature (IUCN) and classified as endangered.